Join fellow motorcycle coaches and athletes at the 2nd Annual USMCA Summit designed to empower you with business-building ideas and interactive breakout sessions dedicated to off-road, road racing and motocross. TEMECULA, CA (January 10, 2018) — We are the United States Motorcycle Coaching Association (USMCA) and we believe in coaching. Come be a part of our mission to grow the sport of motorcycling! Join us on Friday, February 9th, 2018 in California at the Temecula Creek Inn for our 2nd annual summit where you will be a valued participant in continuing to construct the association’s future. You will also learn how to grow & protect your business as a motorcycle coach, participate in breakout sessions dedicated to off-road, road racing and motocross. Guest speakers will include current and former top Professional athletes such as Trey Canard, Destry Abbott, Russell Bobbitt, Josh Hayes, Jake Zemke and Jason Pridmore. 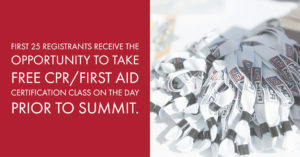 Admission is free but limited to 200 participants, so register now at www.USMCA.org. The 2nd Annual USMCA Summit will take place from 9:00 am to 3:00 pm at the Temecula Creek Inn located at 44501 Rainbow Canyon Road in Temecula, California. Along with our Corporate Partner Wells Fargo Commercial Distribution Financial and Founding Partner Husqvarna Motorcycles NA, we would like to invite all motorcycle coaches to attend this free event which supports participants in the growth and development of a motorcycle coaching business. At the United States Motorcycle Coaching Association, we’re driven by our beliefs. A belief that motorcycling can build character, discipline, and a goal-oriented approach to life; that it can be the most empowering, challenging, rewarding activity we’ll ever know. A belief that when safely practiced, it can connect you to your very best self. These beliefs do not emanate from a manual or an office, they’re not the beliefs of spectators or outsiders, but those of experienced riders weathered and inspired by years on tracks, trails, and pavement. Our beliefs are born from knowing what it feels like to perform at our best, beliefs born from witnessing countless lives changed for the better through mentorship by those who knew the powerful impact the sport could have. As coaches, industry professionals and passionate riders, we are united in our beliefs and in our goals. We want the next generations to know what it feels like to hone their skills and experience what it’s like being part of an inclusive, diverse community that helps them grow, mature and thrive. The sport of motorcycling is not about the bike but who you become when you’re riding. By assembling, training and certifying our industry’s finest coaches, we can ensure the safety, experience, and support is in place to attract, engage and retain lifelong riders and to help them become their best self. And with this, we’ll achieve our vision of a thriving motorcycle industry. For all. Are you new to motorcycle coaching or want to become a USMCA-certified motorcycle coach? If you’re relatively new to motorcycle coaching or you aspire to be a coach, this event is for you. Even the most experienced coach is often restarting the adventure, over and over. You have an opportunity to embrace our research and findings at this event. The Summit is ideal for the all levels of motorcycle coaches; a beginner will especially find value. Discover advanced marketing ideas to accelerate your growth: We will show you tools that will help you grow your business, and ones that will help protect what you have built. Want to learn from the Pros you’ve looked up to for years? Our USMCA summit is the place to do so. We will have Trey Canard, Destry Abbott, Russell Bobbitt, Josh Hayes, Jake Zemke and Jason Pridmore leading breakout sessions that will cater to off-road, road racing and motocross. Meet future partners and influencers: Imagine connecting face-to-face with people on a similar mission—to share their passion for the sport of motorcycling by mentoring to others through coaching, and build relationships that last for years. We would be honored to invite you to participate in our 2nd annual Summit on Friday, February 9th, 2018. Seats are limited, event entrance is only available by registering through our website at www.USMCA.org or by clicking here.